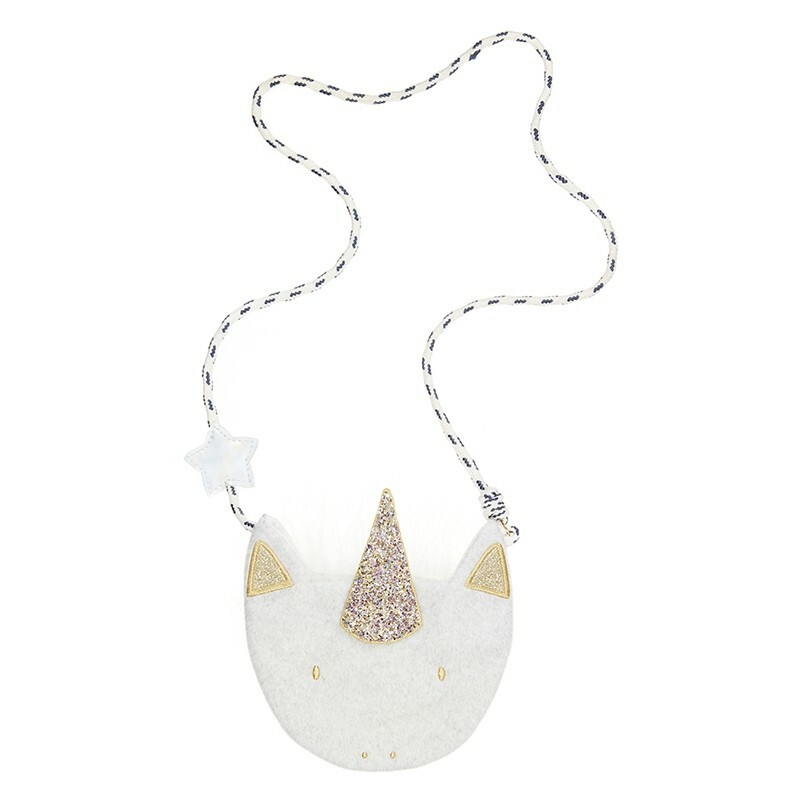 Sparkle wherever you go with this magical unicorn bag! Made from the softest pale grey felt, this unicorn has a gold hand embroidered face and a fabulous glittery horn. The long cross body strap is made from navy and white bungee cord and has a lovely holographic star detail. A perfect gift for a birthday or special occasion.